Joel Solomon believes we are heading toward a massive renewal in money and that money needs to be as good as it can be, so people, commerce and communities can thrive. In this conversation Joel talks about a Clean Money Revolution and how to be in integrity and align money with what is meaningful to you. Being faced with death at a young age can clarify life in a powerful way. 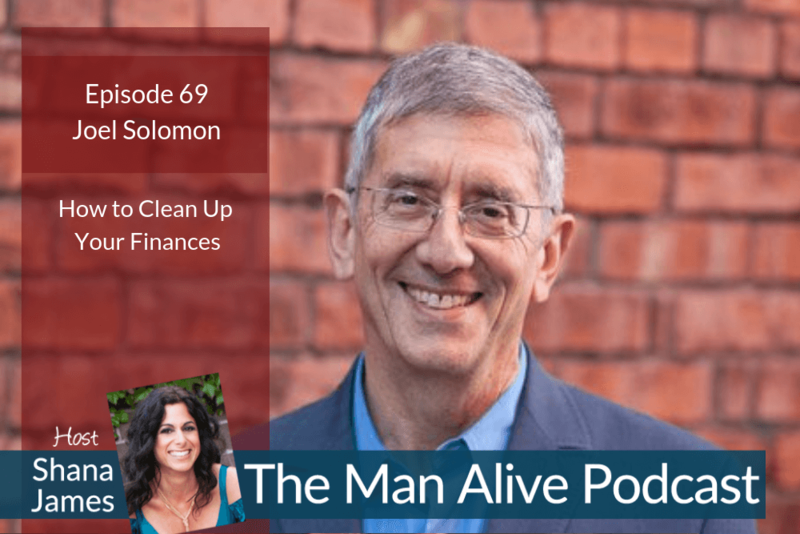 Today’s Man Alive podcast guest, Joel Solomon, was faced with uncertainty about whether his life would be cut short by disease. This set him on a course to deeply consider his choices and align them with his truest values. Joel is the author of The Clean Money Revolution: Reinventing Power, Purpose, and Capitalism. He has directed over $100 million and influenced billions. He recognizes we benefit from our ancestors having done all they could to create a good world and life for us to come into. As well, we are borrowing heavily from the future and generations to come. Joel believes “there is enough money in the world to solve poverty and climate change.” I appreciate his perspectives and think you will too. Joel Solomon is the author of The Clean Money Revolution: Reinventing Power, Purpose, and Capitalism. He is a Co-Founding Partner of Renewal Funds, and he serves as a Senior Advisor with RSF Social Finance and speaks frequently throughout North America. He is a founding member of Social Venture Network (SVN), Business for Social Responsibility (BSR), the Tides Canada Foundation, and is board chair of Hollyhock. Joel has received a Lifetime Achievement Award from SVN and was recently inducted with Carol Newell into the SVN Hall of Fame. He speaks regularly to investors and wealth managers across the U.S. and Canada.